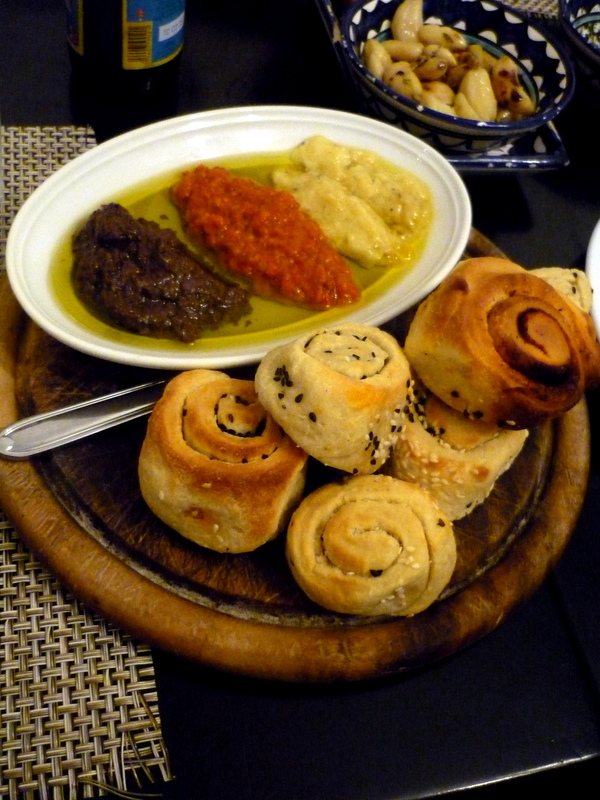 When I first heard there was a tapas restaurant in Be’er Sheva I couldn’t believe my ears. Sure enough, Chef-Owner Yariv Eitani worked in kitchens in Tel Aviv and Provence before deciding to open up a place in his home town. Although the restaurant was originally French that didn’t go over as well as he’d hoped and he switched to tapas; it’s still listed in many guides and websites as being French. Located on Smilanksi Street at the edge of the Old City, Ahuzat Smilansky is warm and inviting. I’ve passed it many times and always thought the outdoor patio looked like a place I’d like to hang out. When we arrived at 7:30 on a Thursday night the restaurant was empty. The attentive, English-speaking waitstaff let us take our time as our Hebrew-speaking friend read us the extensive menu. We started with beers from their unusual list. They were out of a number of selections but we were happy with the fruity, effervescent pear cider and dark, rich Abbey ale we ended up with (Bernardus Abt 12, a new favorite). The wine list had almost exclusively Israeli selections with quirky descriptions; one wine was described as being from a good home while multiple wines were said to be the best. Something may have been lost in translation. 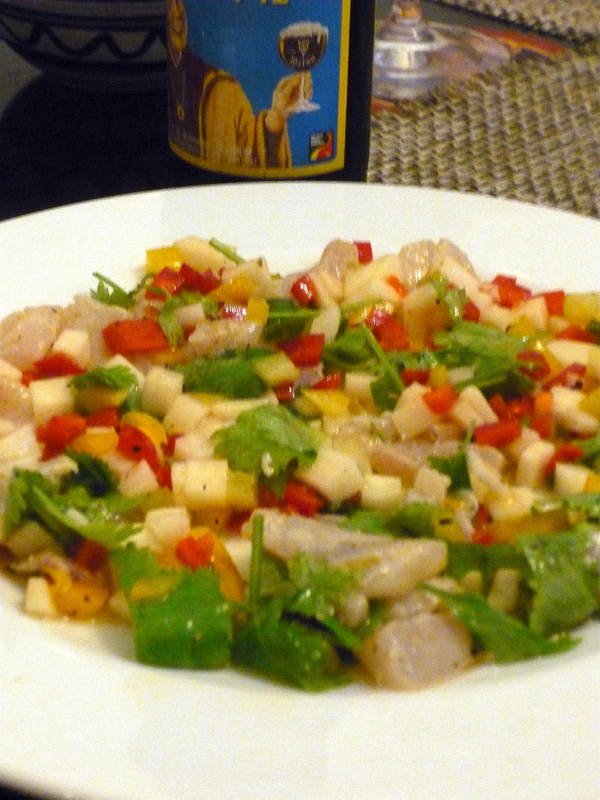 We ended up with a bottle of standard Barkan Reserve Sauvignon Blanc for the table that was crisp with tropical notes. Although Spanish wines would be a nice addition to the menu I haven’t seen many in Israel and I’m sure they would be costly. Finally, we got to the food. 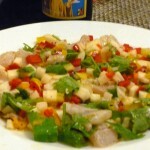 The menu is organized by meat, fish, and vegetable tapas as well as slightly larger “firsts” if sharing is not your thing (but then why go to a tapas restaurant?). Many of the firsts were just slightly larger portions of the tapas (four risotto balls instead of three, for example). Our waitress suggested that we get three tapas dishes per person, which was appropriate for our large appetites. The menu is in no way kosher – shellfish and meat/cheese combos abound – and the restaurant is open on Shabbat, another plus. Although the menu is currently only in Hebrew (with dish titles transliterated from Spanish) they have plans to provide an English language version shortly. There were two shrimp specials that we jumped on (shrimp? In Israel?). A perfectly fried, crispy shrimp and shrimp cooked in coconut milk with Thai flavors; both came with a garlic aioli and were very good. Feeling seafood deprived in general we also got a bright ceviche (we think it was mackerel) and an underwhelming salmon tortellini. Potatas Bravas were the biggest disappointment of the night; what I imagine as a spicy, vibrant dish of potatoes in a fiery red chili sauce came out like crispy diner home fries. Besides the two dishes that fell on their faces the rest of the food was excellent. 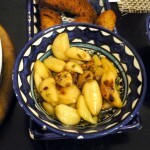 Garlic confit was cooked until tender and served in a syrupy, sweet balsamic reduction with toast. 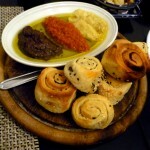 What was described as boring sounding bread with salsas was actually a large portion of tapenades with delicious rolls. Arancini (risotto balls) were perfectly cooked and served with a smoky, tomato-based sauce. And as someone who doesn’t always love lamb I was thoroughly impressed with the tender, slow cooked lamb ribs that were not overly gamey. Some dishes, like limp asparagus and mushroom risotto were middle of the road but tasty enough. For Be’er Sheva the meal (which came to 160 shekels or roughly $45 a person) was expensive. But we left full and happy after having a wide variety of food. 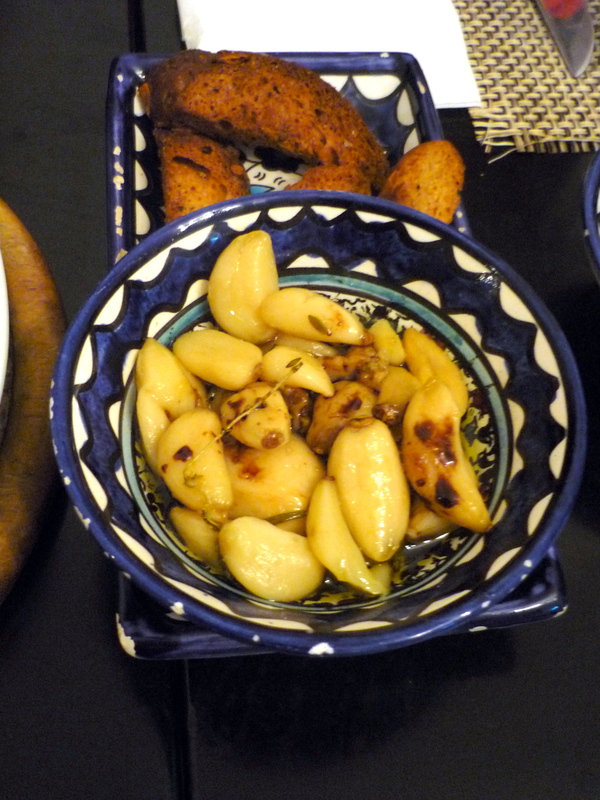 And what’s more, it’s food that we can’t otherwise get in Be’er Sheva. 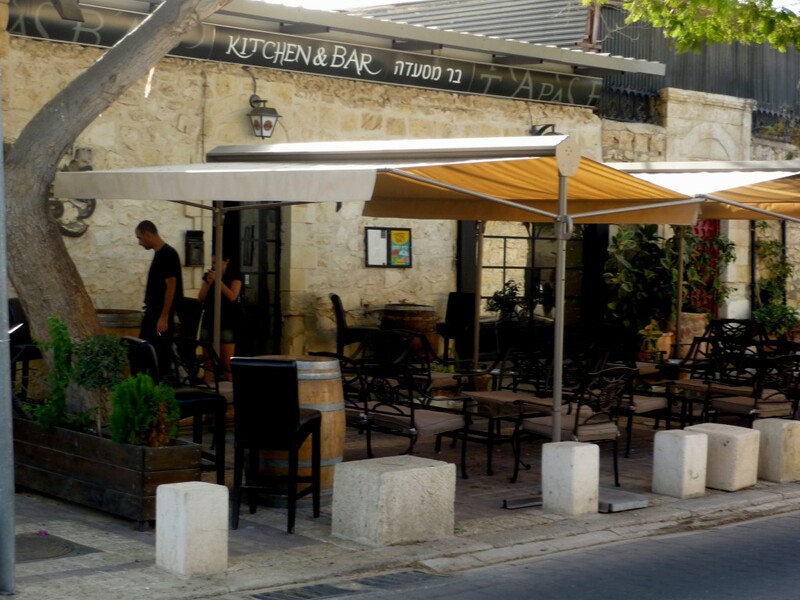 Ahuzat Smilansky was recently highlighted in a Haaretz article, “9 best gourmet restaurants outside of Tel Aviv,” and for good reason. Be’er Sheva is lucky to have a restaurant like this and hopefully it’s indicative of a growing food scene here. Although I won’t be eating here every week, it’s a fun place to come with friends. I’d love to sit at the bar or, on a cool night, the patio, and have a glass of wine and a few tapas. Now that sounds like a night. Sounds fabulous…my mouth is watering!!! !